Literature on domestic interior decoration first emerged as a popular genre in Britain during the 1870s and 1880s, as middle-class readers sought decorating advice from books, household manuals, women's magazines, and professional journals. This intriguing book examines that literature and shows how it was influenced by the widespread liberalism of the middle class. 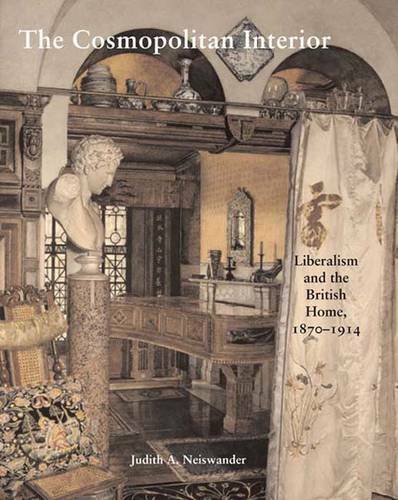 Judith Neiswander explains that during these years liberal values-individuality, cosmopolitanism, scientific rationalism, the progressive role of the elite, and the emancipation of women-informed advice about the desirable appearance of the home. In the period preceding the First World War, these values changed dramatically: advice on decoration became more nationalistic in tone and a new goal was set for the interior-"to raise the British child by the British hearth." Neiswander traces this evolving discourse within the context of current writing on interior decoration, writing that is much more detached from social and political issues of the day.